From the local government reorganisations of 1889, Canterbury was designated as a County Borough, administratively independent from the remainder of Kent. This autonomy also necessitated the provision of asylum care for the mentally ill of the city within it’s own premises or under an arrangement elsewhere satisfactory to the Commissioners in Lunacy who were responsible for requirements were met. 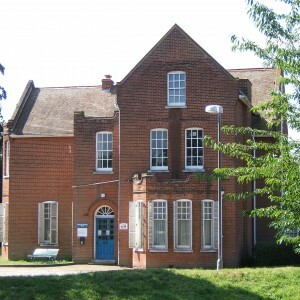 Until the provision of its own asylum, Canterbury therefore utilised space purchased under contract at other County or Borough asylums, or private institutions such as Fisherton House, Salisbury. The expense incurred in providing an asylum was usually discouraging enough to the majority smaller county boroughs unless pressure for finding space, cost of boarding or compulsion due to pressure from the Commissioners in Lunacy forced them to do so. However advantages were also to be gained as lucrative business could be gained in disposing of excess capacity to other authorities and to private, fee-paying patients. 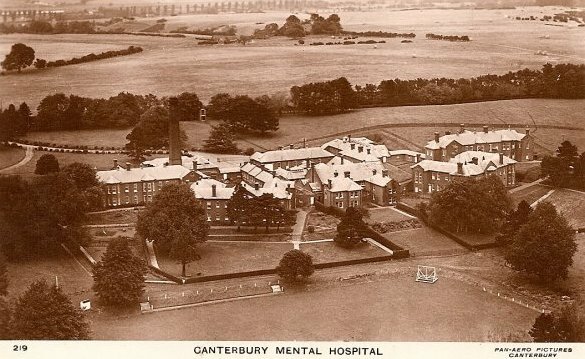 Canterbury was one of the smallest of all English county boroughs to construct its own asylum, with it’s opening in 1902 enabling transferral of the borough’s mentally ill much closer to home. Correspondingly, the building itself was also one of the smallest of its time, with approx 250 beds in comparison with between 1,000 to 2,500 at other contemporaries. 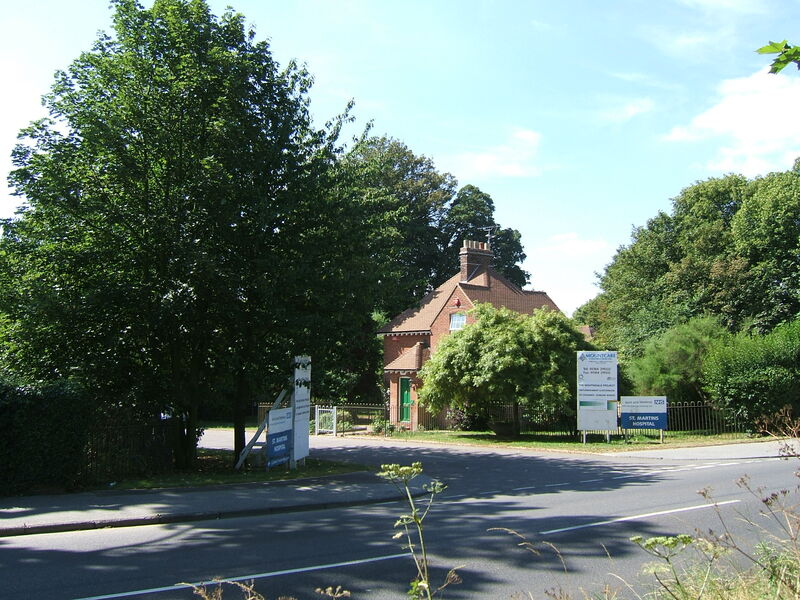 A site was purchased to the west of the city on the Littlebourne Road. The land had previously been developed as a manor house and its grounds. 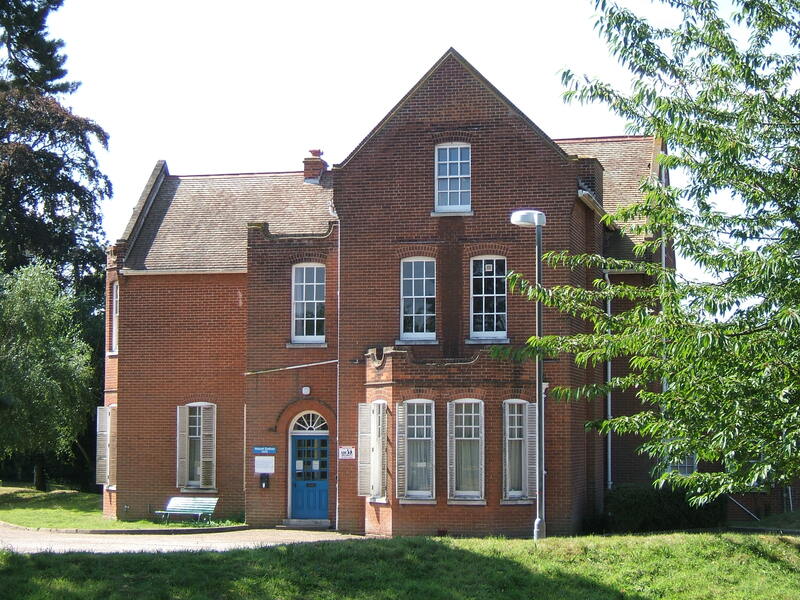 The building, known as Stone House was utilised as accommodation for private female patients within the grounds. 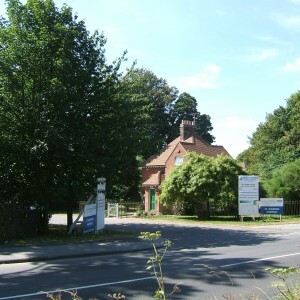 The asylum was approached from the main gate at the north west of the grounds, with adjoined by a lodge cottage. 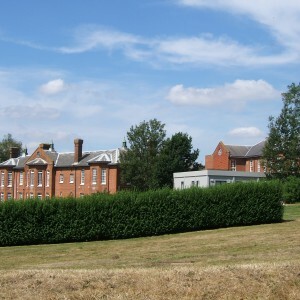 The drive led down past the engineers department which was to be obscured by planting, to the administrative block which formed the centre point of the north front. 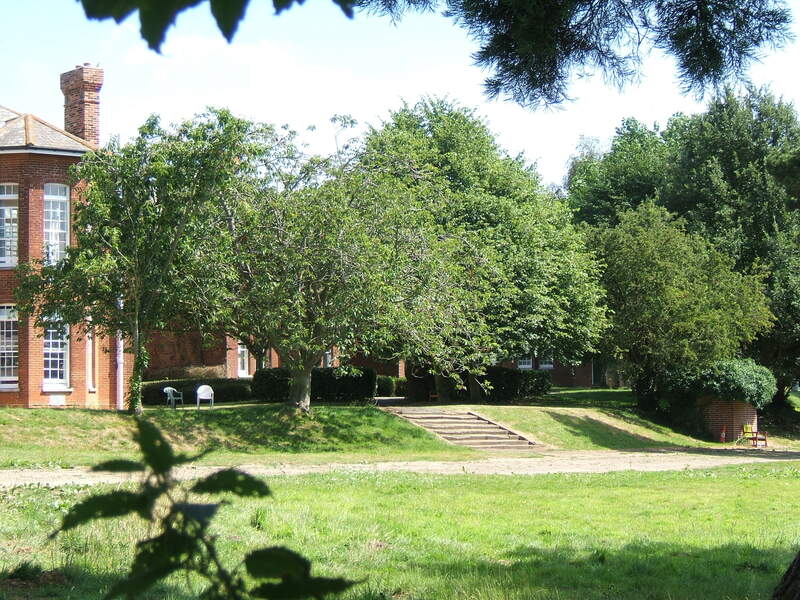 To the east was sited the laundry, and behind, the stores, kitchens, recreation hall, chief attendant and matrons residences which formed the centre of the south elevation. The boiler house and maintenance yard occupied a site west of the administrative block. To either side was sited ward blocks for male or female pauper patients. These two original blocks were later supplemented by later additions. Landscaped airing courts for recreation adjoined these in the formal areas directly surrounding the main buildings. 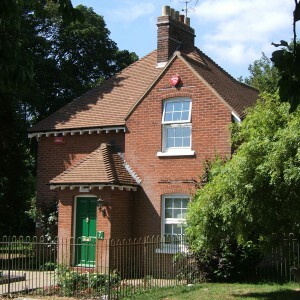 Further afield was placed a large detached villa, for male private patients, who could afford a higher standard of accommodation . 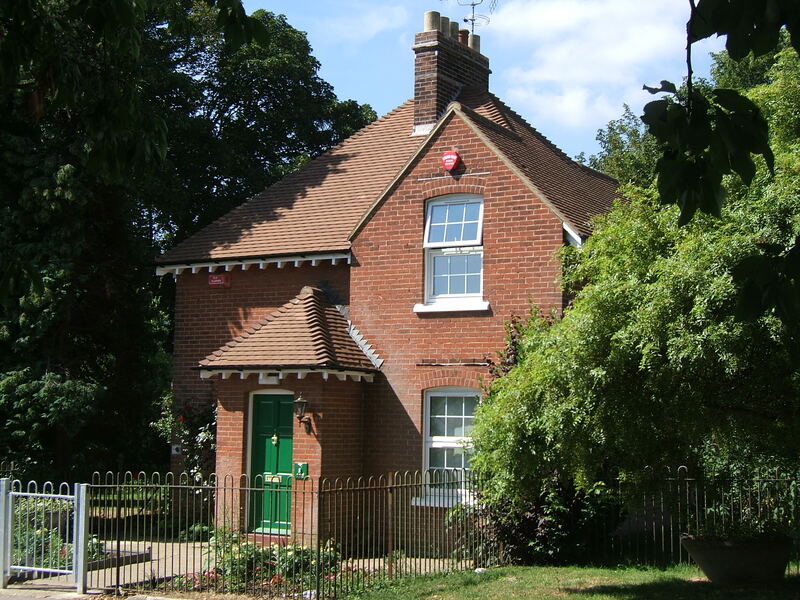 Situated to the north, close to the road and a short distance west of the service entrance was sited a large detached residence for the Superintendent. The buildings were plain, in red brick and slate roofing, but were enlivened with decorative gables, large timber sash windows and more ornamentation on the administrative block. 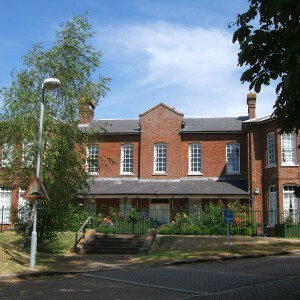 During World War I, requisitioning of the West Sussex County Asylum at Chichester required space for some displaced patients to be found at Canterbury, although these were returned after the war. 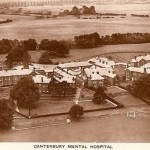 The post war period also saw the term asylum dropped in favour of mental hospital as part of a national trend to modernise the image of mental health institutions – in this case as Canterbury City Mental Hospital. 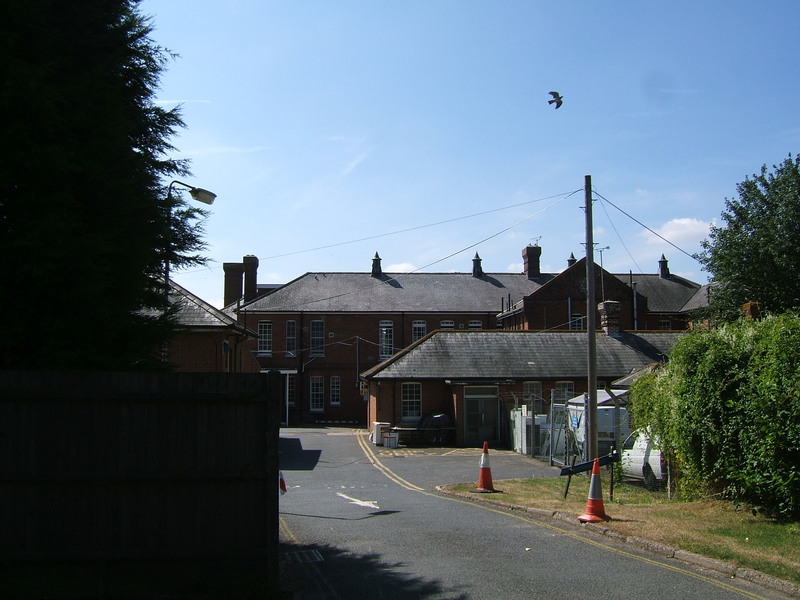 Limited progression was made as far as new buildings were concerned, although numbers of inpatients increased in the period prior to World War II. 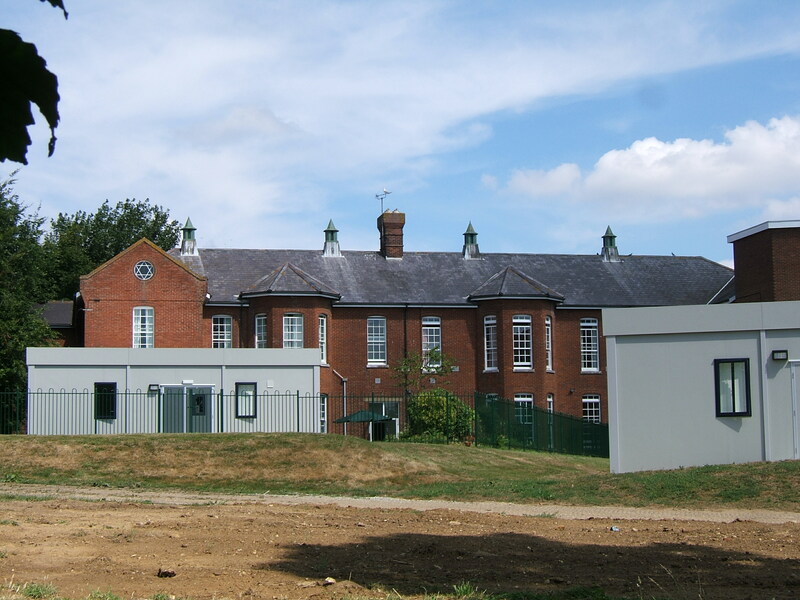 This was further compounded with the relocation of a number of patients from the Kent County Mental Hospital at Chartham, when its new admissions hospital was requisitioned for the War effort. The post war period saw the hospital, now renamed St. Martin’s after a local church, lose some of its administrative independence. 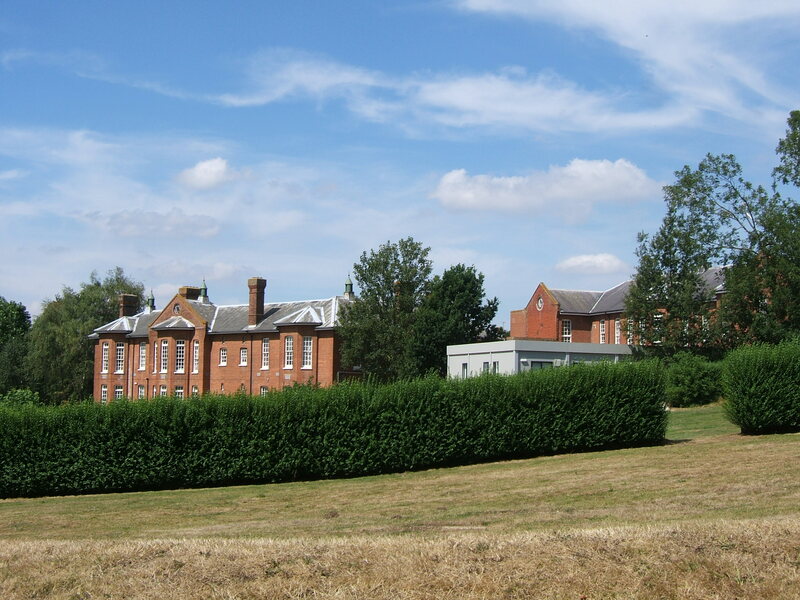 The St. Augustine’s hospital management committee was set up to control operations of the hospital alongside that of the larger institution at Chartham. 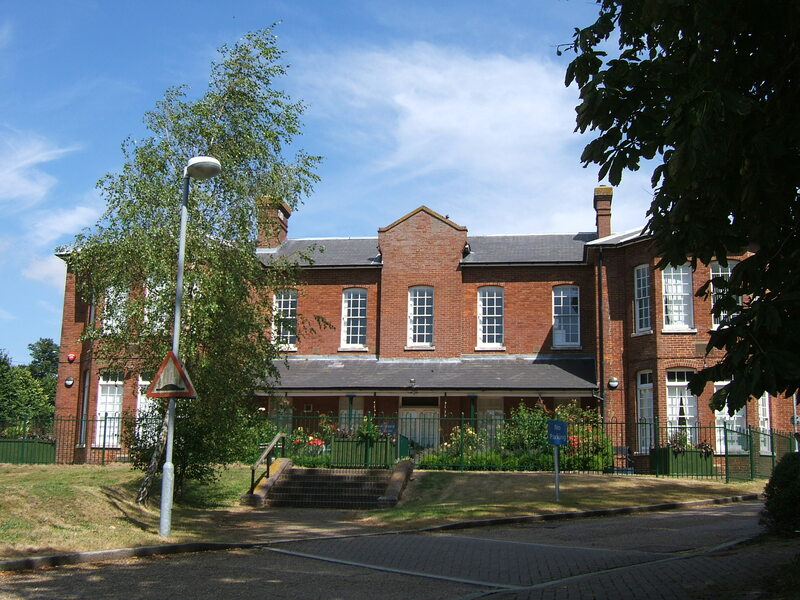 This arrangement eventually saw St.Martin’s role evolve into a more specific shorter stay institution, more convenient also for access from Canterbury itself. This was reflected in the location of the day hospital sited at St.Martin’s. 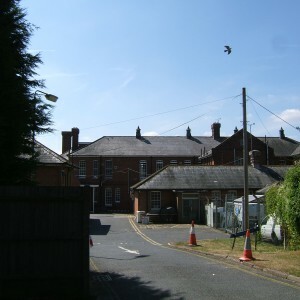 Land surrounding the hospital became more urbanised, firstly with school buildings to the north, and later a large council housing estate to the west, which also provided convenient accommodation for staff. 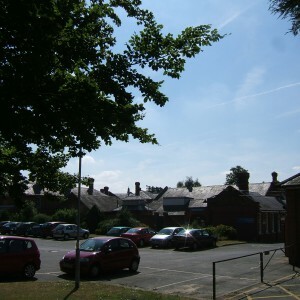 Various modifications were made to the site over the years, and some services such as the stores and laundry being centralised off-site, at St.Augustine’s. A number of buildings were subsequently demolished including the original mansion and administrative block both ruined since World War II. 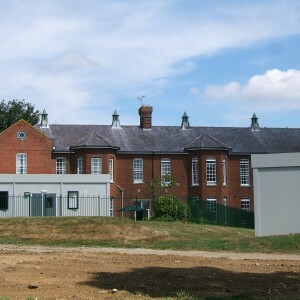 As proposals were in place for closure of long stay institutions, much of St. Martins was retained to provide a local inpatient and community services base, no doubt encouraged by the small scale of the existing buildings. 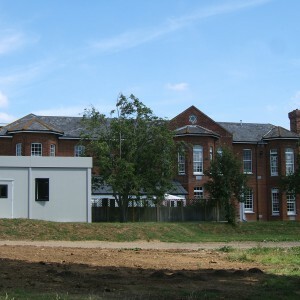 Consequently, as St. Augustine’s closed its doors, new units were constructed on the land to the east of the St.Martin’s site. 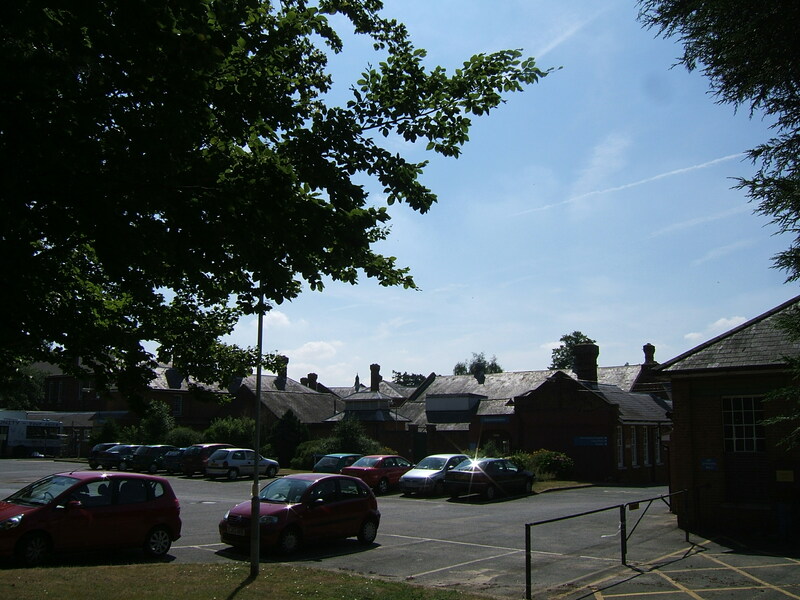 The site is still in use as a base for local mental health, learning disabilities and social care teams and also retains inpatient services. All remaining buildings, including superintendent’s residence, private villa and main building are in use connected with this and at the time of writing there are no plans for the site to close. 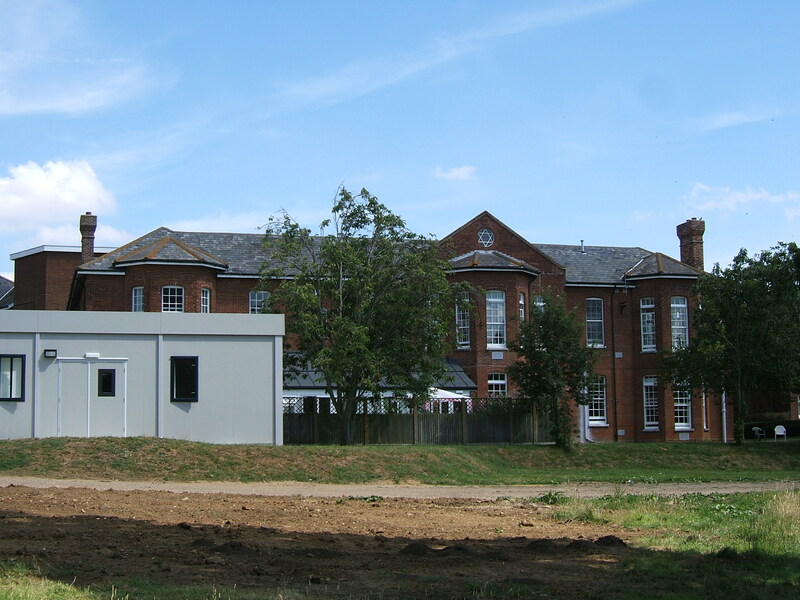 Additional temporary buildings have been added to the former male wards and a car park occupies the site of the administration block. Public access to the building is now via the truncated corridors adjacent to the former kitchen. 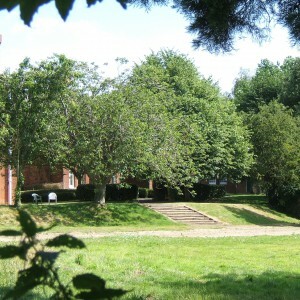 The grounds continue to be maintained although evidence of the airing courts has been largely removed. Why are there no Internal Photos? We’d love to have some internal photos, but St Martin’s is still open and in NHS use at present.